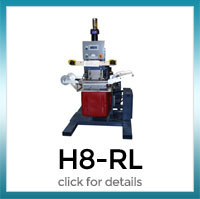 Hot Stamping Equipment utilizes heat, pressure and precision timing to transfer a metallic or color pigment from a foil to an object. 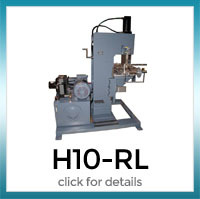 A silicone or metal die is machined to match the desired image. 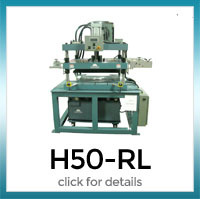 It is used to bond the adhesive coat of the hot stamping foil to the surface of the decorated object. 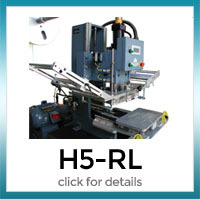 Hastings has experience providing cost effective methods to decorate parts. 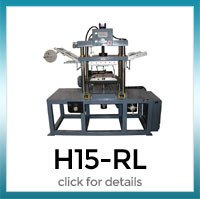 Hot Stamping is an ideal method for plastics, leather, textiles, wood, vinyl and paper. 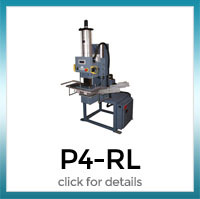 Our equipment can be used on flat or contoured parts and is ideal for single color transfers.